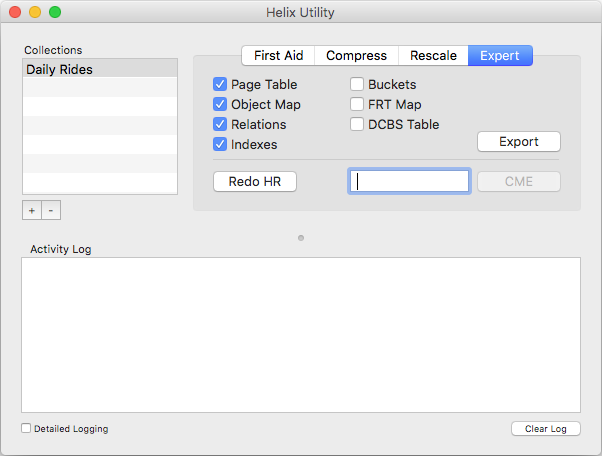 Helix collections that develop errors that can not be fixed automatically can typically be repaired by alternate methods. Repairing collections requires an understanding of the internal structure of a Helix collection, coupled with a thorough understanding of ‘how Helix works,’ particularly in Design Mode. Errors are fixed by manually editing the collection file, changing stored values to ones that resolve the error, at least to the point that the error can be fully addressed in Design Mode. 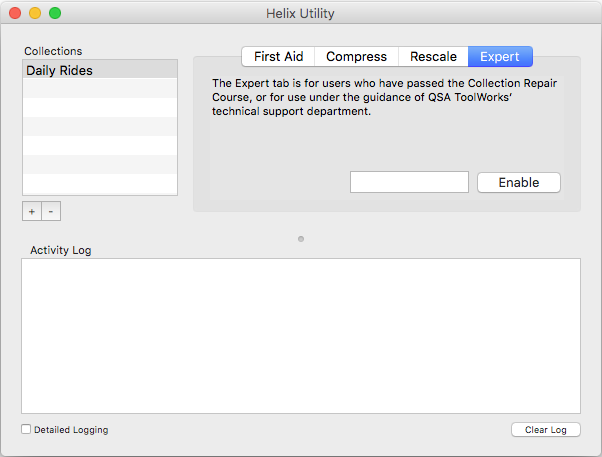 Helix Utility’s Expert panel provides access to tools that assist with collection repair. Although the Expert panel is primarily for users who have taken the Collection Repair training course, situations may arise where field access to the Expert tools is desired. Under the guidance of QSA ToolWorks’ technical support department, a ‘one-shot’ code can be entered to temporarily enable the Expert panel. In this situation, the customer will be working directly with QSA ToolWorks’ technical support department, so further explanation is unnecessary here. When a ‘one-shot’ code is entered, the Expert panel is enabled, revealing the repair tools. Since these tools are only useable under direction of QSA ToolWorks’ technical support department, no further explanation is necessary here.